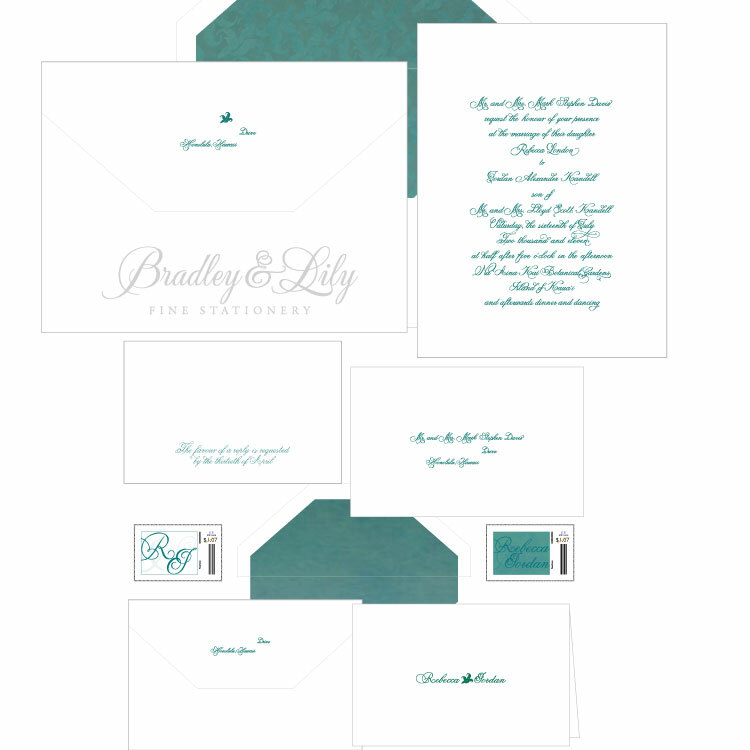 Classsic full-script letterpress invitation in deep teal. Custom jade flower illustration. Printed on Aurturo cotton with hand-lined individually watercolored envelopes and custom postage.